Singapore is normally a location where people stop over on a long flight to Australia or other locations. Only a few people consider Singapore as a holiday destination. This is wrong. It is an amazing island packed with hundreds of things to do. There are enough activities and tourist destinations to keep you busy for two weeks. 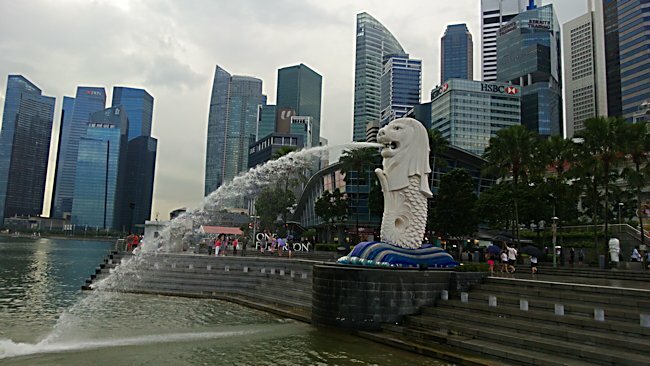 Why not break up a 24 hour flight to Australia or New Zealand with a 2 to 3 day break in Singapore. It will help you adjust to the jetlag. On the next few pages of my Singapore travel tips website. I hope to show you some of the interesting things you can see and do. You can explore the colourful streets of Little India. Why not try a Indian breakfast at one of the many cafes for something different to eat. If you want to buy cheap but good quality shirts and dresses then Little India is the place to go. You can then go to Arab Street. This is colourful and resembles the kasbahs of northern Africa. Everywhere you go in Singapore, there are hawker food courts all over Singapore. These are a collection of food stalls offering a variety of dishes, but the seating area in the centre is common and available for use by the customers of any of the stalls. The food is cheap, hot and good quality. Of course, you can visit the famous Singapore, Chinatown. It also has a hawker food court selling local Singaporean dishes as well as Chinese dishes from all over the mainland. The central business district of Singapore is packed with towering skyscrapers. 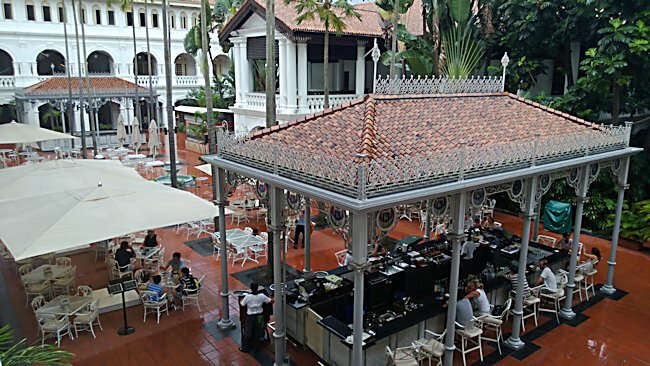 They contrast attractively with the colonial architecture of buildings such as the Fullerton Hotel and some of the museums along the Singapore River. Most visitors go on a bum boat harbour trip to see the sights along the river. It mainly goes along the area known as Clark Quay and Boat Quay. They are both on bends in the river, just before the harbour mouth. Don't waste your money on a boat trip just walk and explore Clark Quay and Boat Quay on foot. Do this during them daytime and then return at night when the lights and restaurant lanterns are lit. On the other side of the harbour from the statue of the Singapore lion spouting water into the bay, you will see a massive three towered hotel called Marine Bay Sands hotel. It has on top of each tower, what looks like a giant surfboard. This is the 57th floor viewing platform and huge infinity swimming pool for residents only. If you can afford it try to spend one night at the hotel, so you can use the infinity pool and admire the views of the city, whilst sipping a cocktail on your Sun lounger.